﻿FutureTech Financial, Inc. is an international consumer and commercial credit consulting firm. We offer a multitude of consumer finance, real estate, mortgage and educational services, but we specialize in the forensic auditing of consumer and commercial credit reports, as well as debt collector communications. Our comprehensive audits identify specific violations of the Fair Credit Reporting Act, Fair and Accurate Credit Transactions Act, and Fair Debt Collection Practices Act. Upon completion of our forensic credit report audit, we will then make a recommendation about whether our client’s credit report audit should be referred to a third-party registered not-for-profit credit restoration organization to handle the credit reporting agency and creditor dispute process. We will also recommend whether clients should seek legal counsel to file claims against companies that violate any of the above-referenced statutes. WE ARE NOT A LAW FIRM, NOR DO WE RENDER LEGAL ADVICE. Clients have the right to seek and retain legal counsel of their choosing. Dave Pippin, founder of FutureTech Financial, Inc., an Orlando-based consumer and commercial credit consulting firm, has been counseling Americans on all aspects of credit for more than 31 years. His primary focus has been helping future homeowners get credit qualified for a mortgage, and former homeowners recover their credit after a short sale, foreclosure, or bankruptcy. He began his long career in consumer credit while attending community college in Tampa, Florida, in 1985. Since that time, he has lectured to and mentored thousands of “credit challenged” consumers from all walks of life on highly effective strategies for establishing, reestablishing, and maintaining good personal credit. Mr. Pippin is the author of three books to be released by mid-2017. “Going Psycho on FICO” – Will expose the conspiracy between the credit reporting industry, debt collection industry, Wall Street banks and other lenders that keep consumers in debt with the worse possible rates and terms. It also will detail how Mr. Pippin plans to press for the civil and criminal prosecution (under the R.I.C.O. Act – Racketeer Influenced Corrupt Organizations Act) of past and present directors of Trans Union, Equifax, Experian, Consumer Data Industry Association, Fair Isaac and Company, Collection Agencies, Creditors, and others. “Killer Credit 101” – The young adult’s guide to establishing and maintaining a great credit profile. Mr. Pippin is also a nationally recognized author and speaker/trainer on real estate investing, mortgages, and personal finance. 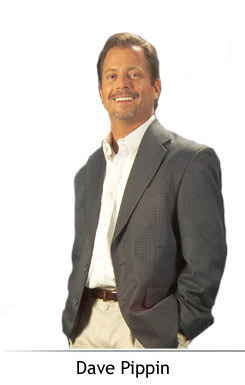 He has contributed to several nationally distributed personal investment periodicals and has been a featured guest on a number of radio talk shows, as well as hosting his own show in 2006 and 2012–2013, “The Financial Power Hour” in Tampa and Orlando, Florida. Mr. Pippin has also completed and passed courses and exams offered by Fair Isaac and Company (FICO), the creator of today’s credit scoring system. He has the designation of being a “Certified FICO PROFESSIONAL – (FICO PRO).” He has also gone “undercover” and taken courses and exams offered by the Consumer Data Industry Association (C.D.I.A.). These courses and exams were designed for debt collectors and credit reporting agencies to educate these organizations in the Fair Credit Reporting Act and Fair and Accurate Credit Transaction Act (laws that govern credit reporting). NO OTHER CREDIT CONSULTING FIRM DIRECTOR THAT WE ARE AWARE OF HAS A “CERTIFIED FICO PROFESSIONAL” DESIGNATION OR HAS TAKEN C.I.D.A. COURSES OR EXAMS. Consider using FutureTech Financial, Inc., and its legally registered not-for-profit affiliate: Consumer’s Financial Institute, Inc.